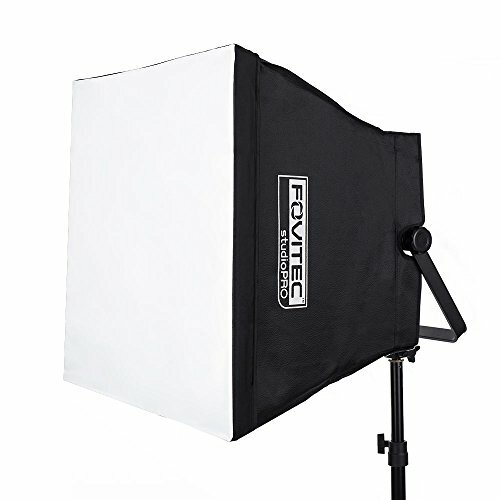 The Fovitec LED Softbox Light Modifier takes your 600 LED panels to the next level of professionalism. The soft diffusion adds greater control and options to your light set up. Simply use the straps to attach this softbox to your Daylight or Bi Color LED panel. The softbox requires no set up time and folds back into its included carrying case. A lightbox is perfect for photo or video shoots, because it allows the light on your subject to be diffused, soft, and flattering on any subject. Diffuser Size: 19"" x 19""
Folded Softbox Size: 15.5"" x 19""
Bag Size: 21.5"" x 17.5""
Fits S-600D, S-600B or other LED panels of the same size - 12"" x 12"" x 2""